Dr. Ray, a top graduate of his class at the Atlantic Institute of Oriental Medicine in Fort Lauderdale, Florida, is a state licensed and nationally board certified Diplomate of Oriental Medicine by the NCCAOM. 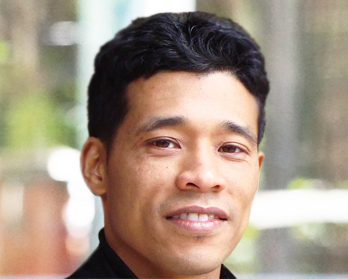 He is a certified Acupuncture Physician and Herbalist, specializing in NSEV Healing Acupuncture and is also a state licensed Registered Respiratory Therapist. He believes that there are many ways to find ones’ balance in life, and finding that proper balance produces the best outcome. As Respiratory Therapist for many years post graduate, the more Ray learned about Traditional Chinese Medicine (TCM), the more he wanted to expand his knowledge base, which led him to obtain his credential in Oriental Medicine. While in TMC school, he witnessed the countless of benefits in his patients’ conditions with Acupuncture and Herbal therapy and even with his own medical conditions. He found that his TCM training allowed him to also understand his patients more thorough and discovered that his comprehensive knowledge of both eastern and western medicine increased his value in clinical practice.